Gospel and Country Music in One Great Show! Absolutely Country, Definitely Gospel Lunch Show in Branson will bring gospel and country music in one great show at Jackie B. Goode’s Uptown Cafe located at 285 Missouri Highway 165. The show features Faith’s Journey & Friends in an uplifting concert of inspirational country and gospel greats. The gospel songs that you will hear are entertaining and includes classics like “I’ll Fly Away” and “This Old House.” You’ll get to enjoy scores of other incredible songs such as “Antioch Church House Choir,” “We’ve Only Just Begun”, “Arlington to You”, “Beulah Land”, and “Hurting Each Other.” And if all the gospel and country songs that you will hear are not enough, you’ll surely be satisfied with the delicious lunch. You can choose from three lunch entrees that include Steakburger, Turkey Swiss Croissant, or Ham & Cheese. Sandwich is served with French Fries or Chips, Ice Tea, Coffee, and Dessert. Prior to the show, you can have the opportunity for a meet and greet with the cast of Absolutely Country, Definitely Gospel. This fascinating lunch show in Branson brings plenty of great music, fun, and talented singers. Whether you are a long time fan of country and gospel music or are just starting to enjoy the kind of songs, this music show is sure to be a favorite for many country and gospel music fans. As the Faith’s Journey performs on stage, you will be treated to two decades of country and gospel music. The best part of the show, is that you get to enjoy a delicious meal along with the show. You’ll get to enjoy listening to the songs of Eastern Gate and Coalminer’s Daughter, and send your spirits soaring with soul-warming journey through some of the best country and gospel songs. 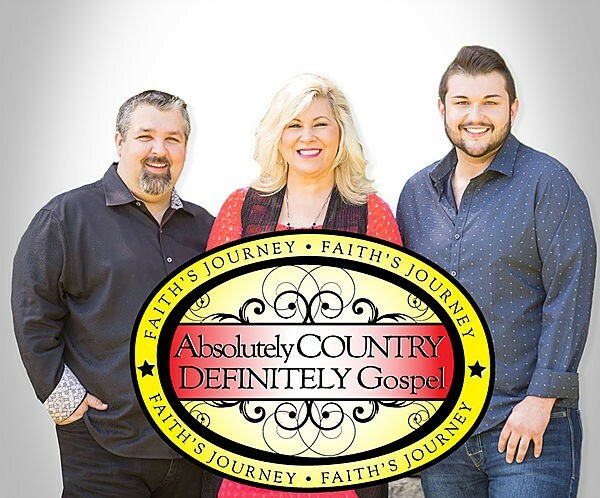 Absolutely Country, Definitely Gospel Lunch Show in Branson is an unforgettable show that brings country and gospel songs to fans with heavenly vocals and amazing performances. Featuring an amazing blend of classic country hits and gospel favorites, this show delivers an entertaining and inspirational combination that is sure to leave you captivated and enthralled! You have never seen a lunch show in Branson like this before that is presented with that irresistible country and gospel music. This show includes renowned vocal group of entertainers from Silver Dollar City and one of the country’s premiere Gospel vocal groups Faith’s Journey. They have put together a show that presents some of their favorite country and gospel songs that is sure to entertain audiences of all ages. The Absolutely Country, Definitely Gospel presents a lunch show in Branson which brings gospel and country music at Jackie B. Goode’s Uptown Cafe.